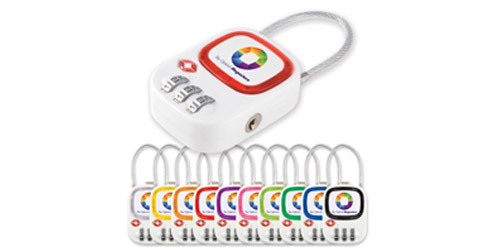 Combination luggage lock for travel. TSA approved. Choice of 10 coloured rings. Mix and match with other Family items.